Thank you to everyone that took a moment to respond. It would be hard to believe that any parent would disagree with anything on this list. Thus, it would seem fair to assume that we can agree on the results that we want to see in our kids. The real challenge is to see if it is possible for parents to agree on a standard or best method for achieving those results. In my next post I’ll lay out a standard which I believe, if followed, will have a great chance of leading to the results that every parent hopes to see. 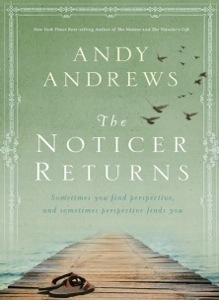 In the book, The Noticer Returns, by Andy Andrews, Jones is leading a parenting class. He asks those in the class three questions. There is nothing wrong with doing the best that you can, but is that good enough? If everyone is truly doing the best that they can, then what is it that everyone is “doing”? Are we all doing the same thing or is everyone just raising their kids how they see fit. Is there one standard by which everyone parents? “Suddenly the old man was animated. He rose from the chair and passionately declared the conclusion to which he had come. “You see, my friends,” he said, “by not addressing the issue of an accepted standard, today’s parents have defaulted into an uncomfortable agreement with each other. They have agreed that there will not be a standard for raising our children. Jones goes on in the book with an analogy of planting a fruit tree and raising it. Most trees that you go buy at the store come with instructions on how to plant and care for that tree in order for it to produce good fruit. If you follow those instructions your chances of growing a tree that produces good fruit are much better than if you just stick it in the ground and ignore it. Those instructions are the standard by which many people came together and agreed would be the best way to raise a fruit tree and get good results. As parents, we have been given an enormous challenge in raising our kids because when they were born they did not come with an instruction manual. 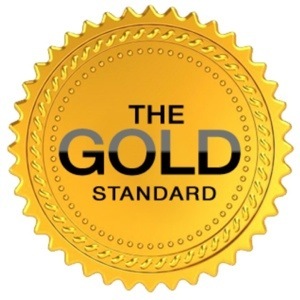 There are many books and lots of different opinions out there, but society has not yet came to an agreement on a single standard by which everyone should raise their children. About the only standard that I can think of that civilized society has come up with is that parents should send their kids to school for 13 years. Does there need to be a standard for raising children? This topic has struck a chord in me and I plan to write more about this in the coming weeks. As parents, the future is in our hands and it all starts with how we raise our kids. Excerpts From: Andrews, Andy. “The Noticer Returns.” Thomas Nelson, 2013-07-01. iBooks.